Howdy, folks, in today’s post, I’m going to share my philosophy on when you should – and shouldn’t – make use of a credibility kit when you’re talking with your private money prospects. 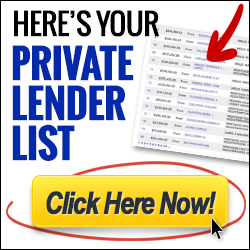 Not long ago, I wrote a great blog post on one easy way to get credibility with your private lenders. That post focused on one credibility hack. I definitely recommend you check that blog post out. Lots of REI gurus out there say you should absolutely create a credibility kit and lead with it. My philosophy is a bit different though. There is definitely a place for a credibility kit, but it shouldn’t be used like you’re giving out free candy at a kid’s party. Before we get into the whole credibility part… the EASIEST and BEST way tobuild credibility with private lenders is to actually BE running an active real estatebusiness already. If you are actively doing deals; showing that profits are being made;people in your community know you’re doing deals; your buyer’s-list generatingwebsite is active and showing recent deals… that builds credibility faster than almostanything. So, if you haven’t already started to get out there and make offers, do deals, partner on deals with other investors, etc… that right there is your first step. If you’re using the excuse that “I don’t have private money, so I can’t do deals”… first, that’s a poor excuse. Second, get out there and start analyzing deals, start building your team of professionals (Realtor, conventional lender, attorney, title company, etc.) and start making offers… whether you have the money or not. If they get accepted, then hit the streets using the PMBP training from yours truly and get that private money to close that deal! Okay, let’s move on from building credibility to the kit. To understand where the credibility kit fits within my philosophy of how and when to use it best – the best practices – you’ll need to understand what I consider to be the 3 types of categories that exist for credibility. This is by far the most effective form of credibility. Do you remember when I said that getting private money is all about personal relationships? Could be your friends, family, neighbors, or anyone else that you have an established relationship with. You will be using the presentation to simply educate them about your investment program… and answering questions about your company to further build the credibility. This is the second most effective form of credibility. 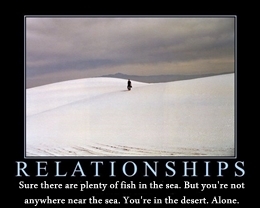 A person that you have relationship credibility with tells someone else about you or your investment program. Credibility has been transferred from the “referrer” to you. So now it’s your job to build on that credibility foundation. In this scenario, you may want to provide a credibility kit but only if it’s absolutely needed. If the “referrer” has invested with you, all the better. 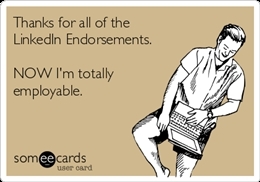 Make sure to use their testimonial when presenting to them. This type of credibility is what you feel when a friend asks you who your CPA is… then they go to the CPA trusting that if that CPA is good for you then they must be good for them also. Your credibility transferred from you to the CPA you referred your friend to. And finally, the least effective form (but still effective). Manufactured credibility is created from scratch with a “cold” prospect. This usually takes longer to turn a prospect into a client and can require education, information, and proof before they invest with you. When networking, first try to get to know “cold” prospects. Ask them how you can help them and add value to whatever it is that they do. 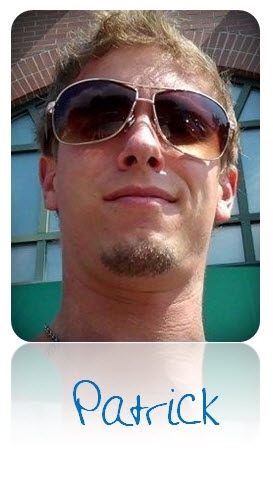 Then, the prospect will invariably ask about you. That’s when you explain some of the wonderful opportunities that you have for everyday people to invest and make good returns. Remember, don’t “spill your candy in the lobby” and use the negative/positive language pattern. This will entice your prospect to inquire further and that’s when you go for the formal appointment. Then you’ll use your presentation, testimonials, and a credibility kit to educate them and build trust. Truthfully, I don’t even use a true credibility kit most of the time because I’d rather speak to the prospect myself, answer all of their questions and qualify or disqualify them in person. Then, for those I disqualify… I say “next” and sometimes give them a “credibility kit to-go” to keep my brand in their mind IF they ever do feel our program is right for them. However, I feel very strongly that a majority of real estate investors go about using their credibility kits the wrong way… and end up wasting a lot of time and money thinking that their credibility kits are the end all/be all thing that will “sell” their prospects for them. Simple… it’s another tool to help build credibility (I know… you already knew that). Your kit builds credibility through testimonials and/or case studies of successful transactions. Or, if you don’t have any transactions (yet), you can include testimonials on you personally that show your character. You’ll need to put the prospect in the mindset of imagining safe, secure, and high returns by answering the ‘whys’ and by outlining the process of working with you. You can break down the process in simple steps and even show a visual representation of the process. You can also show them exactly what documents they will be getting. Then, at the end and throughout the credibility kit you’ll want to give your prospects a clear call to action to take immediately. NOTE: Do you truly NEED a credibility kit to get private money? Nope… you don’t. The kit is just one way to build credibility, but like I mentioned before, showing you’re already running an active and successful business is one of the best forms of credibility out there. So, make sure your buyer’s site is active and has a consistent flow of deals (if you’re a wholesaler or rehabber)… or, if you’re in multi-family housing, have your website show the different properties your company manages or owns. If you haven’t done any deals, do some networking and start building your team so you can borrow their credibility. A lot of investors I’ve talked to use the credibility kit as the first line of marketing in finding private money. For some reason, they think that all they have to do is hand out 100 of their credibility kits and magically people will flock to them calling them up wanting to give them money. If that happens… I’d love to do a case study on you. However, personally (this is a personal opinion) I believe that the credibility kit shouldn’t be the first line of defense… it should be a backup plan. Do all you can to set up a formal meeting to do your presentation. That’s the first priority (not handing out your credibility kit). If you’re not able to set up the meeting, gauge their interest… ask them questions to determine why they don’t want a meeting (reasons might be that they think they don’t have time, don’t understand what you’re telling them, don’t believe you… which comes back to building rapport and trust, etc.). 1. Give them a credibility kit. 2. Say “next” and go onto the next prospect. For me, most of the time when someone says – “Do you have any literature we can take home and look at?” – they’re politely saying, “Thanks, we’re acting like we’re interested, but we’re really just going to throw your credibility kit away once we get home.” No matter how good the product is, they’ll throw it away because they’ve already made a conscious decision that they don’t want it. Again, not because the product isn’t good, but because the investor (you!) didn’t do a good enough job of piquing their interest and asking the prospect good questions to elicit motivations and desires. So, if that comment comes up, I usually go on to the next person if they don’t want to commit to a next step (a presentation or phone call). But the choice is yours. But, don’t use the kit as your first or only way to educate (only as a last resort). That’s uber important! You want to use the presentation as the first-line education, answer questions, and provide the kit as last line of defense. And make sure not to give the kit to prospects after the presentation because that just gives them an excuse to delay things or drag you along. 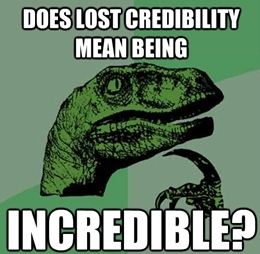 Remember, use the credibility kit only as an extra tool to educate… or a last resort. If you use it as your first line of defense, you’re killing your program. You want to be able to answer a prospects questions personally – you don’t want them to take the credibility kit home… read it… have questions… then either forget to contact you for the answers or come to their own conclusions (which are usually incorrect). So, now that you realize that your credibility kit shouldn’t be your main way to recruit private lenders… excellent! But still, get that kit built for times when you might need to bust it out. 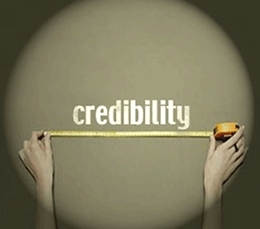 Agree with me about when and how to use the credibility kit? I wanna from you in the comments section below.